﻿Welcome to our Four Square store. 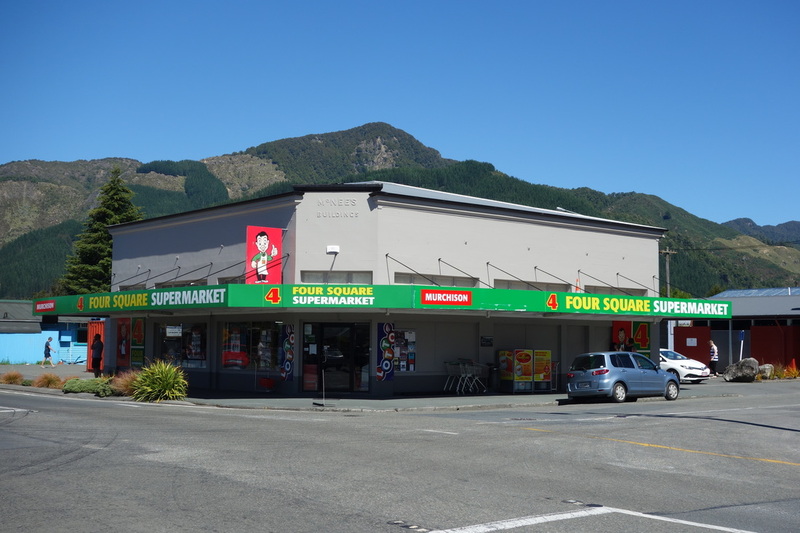 We're proud to be part of the long-standing iconic Kiwi brand that has been the local Supermarket for rural New Zealand communities since 1924. So whether you're keeping it local, or on tour, we're here to make it easy for you. With a selection of fresh produce, meat, beer, wine and general grocery items we have something for everyone. Whether you need a pie on the go, a hot chicken for dinner or are staying for the week, we have all the food you’ll need. Murchison’s only Lotto outlet is located in store, as is our handy ATM machine. Owned by a local family we pride ourselves on friendly, helpful, local service. Become a local, and shop where the locals love to shop. Always welcome. Always local. Always Four Square. Open 7am to 7pm April – September and 7am to 8pm October to March.